Unsustainable and convergence are the continued motos. These countries are all actively in Today's news regarding possible economic disaster. Many of the above countries are well known to have collapsed or in active collapse. 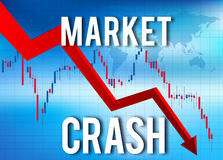 Now India is having major economic unrest. We've heard about Ireland and Spain over the last few years as well. I'm unable to visit much of South America, Africa, the Middle East, Malaysia and some of eastern Europe. Now some of western Europe is deteriorating. Little of the world's urban areas are safe and healthy. Just to show my face in much of the Islamic world would be suicide. Much of this world has fallen or is falling apart. I think we are often insulated and forget how bad things are in much of the world. Only 37 of 185 countries are listed with average incomes above $30,000. Only 60 are above $20,000. It won't take much to get this snowball turning.